6.8 SPC was developed for better terminal effects while still having an acceptable long range trajectory. 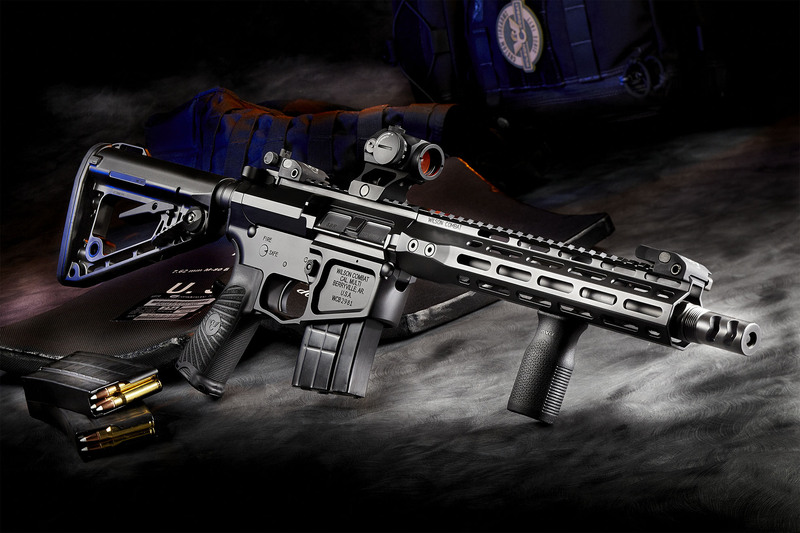 After a tremendous amount of research and testing by Bill Wilson and the Wilson Combat team we are excited to announce the availability of our custom AR platform rifles chambered in 6.8 SPC caliber. The 6.8 SPC (6.8x43mm) was initially developed by MSG Steve Holland and Chris Murray a United States Army Marksmanship Unit gunsmith to offer superior downrange lethality over the 5.56 NATO/.223 Remington in an AR pattern service rifle with minimal loss of magazine capacity and a negligible increase in recoil. 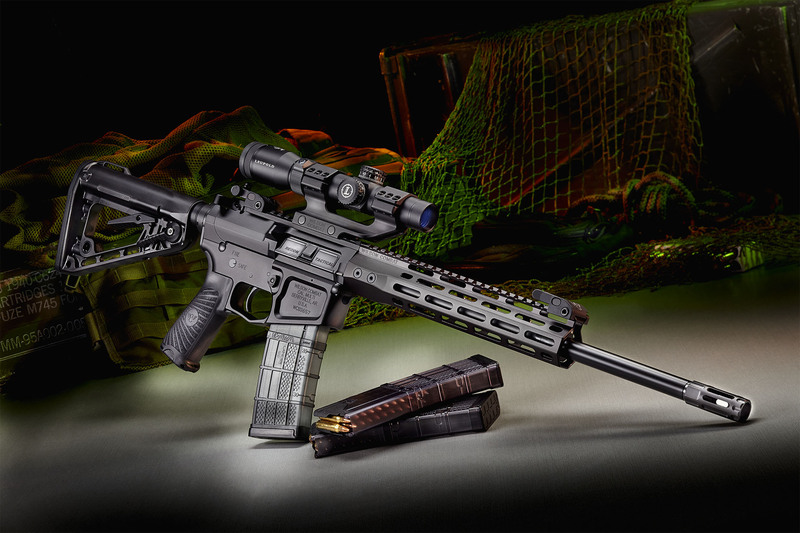 When built to the level of quality and precision Wilson Combat has achieved the 6.8 SPC is also capable of outstanding accuracy and reliability. In our match-grade, Spec II chambered 16″ barrels, The 6.8 SPC is capable of pushing a .277 caliber, 85gr bullet to over 2900 FPS. 110gr bullets easily achieve 2500 FPS with factory loaded ammunition. Appropriate hand loading can achieve even higher velocities and enable the use of heavier projectiles up to 130 grains, which dramatically improves terminal ballistics over a 5.56 Nato/.223 Remington at long range.This added ballistic performance makes the 6.8 SPC perfect for home protection and SRT/SWAT teams. The 6.8 is a truly ideal hunting round for medium to heavy game and turns the AR into a serious hunting rifle.